Well it is about time I started to add some more news posts, so the 'News from around the Blogs (and web)' segment is back and will be getting quite a bit of extra attention over the coming couple of weeks. About time I started spreading the love for other blogs, news and releases around a bit more! So let's start this one of with exciting news from Fantasy Flight Games, this summer their Death Watch RPG will be hitting the community! I for one am definitely excited, not in the least because all of Fantasy Flight's GW-related stuff to dat has been absolutely fantastic! Additionally this should really help to give the Death Watch, and Xenos Hunters in general, a more distinct feel. At the same time I'm certain it will also lead to tons of info, art and rules for excisting and new Xenos critters. And you all know how much I love my critters! "Deathwatch is a roleplaying game in which you take on the role of a member of the Adeptus Astartes - the devout, bio-engineered super-soldiers also known as Space Marines. After many years of exemplary service within your own chapter, you have been singled out and selected to join one of the most unique and specialized collectives of Space Marines - the Deathwatch. Along with the other players, you will unite together as a Kill-team of Deathwatch Space Marines, but the challenges you will face are not all external. Since you have each been recruited from a separate Space Marine Chapter, you will be met with wildly differing traditions, beliefs, experiences and backgrounds. You must learn to work together with Space Marines who are strangers or even rivals. 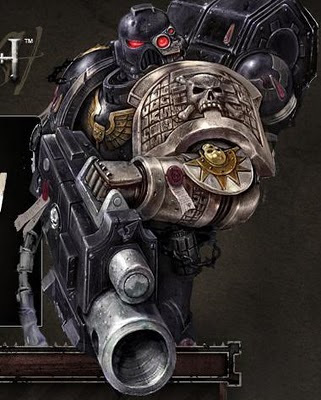 As a Deathwatch Space Marine you have been selected as an exceptional candidate from amongst the warriors of your primary chapter, to bring your unique talents and abilities to the fight at the furthest fringes of Imperial space. United in this newly forged brotherhood, all Deathwatch Space Marines must learn to put aside their differences and work together to succeed in the most extraordinary of missions — or face the threat of total annihilation when confronted by implacable alien foes. The Deathwatch RPG drops you and your group of fellow Space Marines squarely in the thick of the action, stationed at the heart of the Jericho Reach – a region of the Imperium long ago devastated by war, and now on the brink of destruction. Deathwatch offers a brand new roleplaying experience by focusing on elite, special-missions style action involving some of the greatest heroes and deadliest opponents the Warhammer 40,000 universe has to offer. At the same time, there are exceptional roleplaying opportunities presented by the unique composition of the Deathwatch itself; the Space Marines who make up a Kill-team are a group of powerful and successful individuals, and often, it is the choice to go beyond that individual nature and sacrifice one’s pride in order to work together that will create the most drama and excitement in your Deathwatch games. During a Deathwatch mission, you will earn renown, advance in experience and prestige, and garner special wargear only entrusted to the the most honoured and trustworthy battle-brothers. You will face extreme challenges, from the ravening horror of a Tyranid Hive Tyrant to the excruciating decision of whether an Imperial world’s population can be saved...or must be abandoned to their fate in the face of an encroaching alien menace. While Deathwatch focuses on a different aspect of the Warhammer 40,000 universe, the rule system is compatible with Dark Heresy and Rogue Trader. The Deathwatch core rulebook provides all the rules necessary to enjoy a complete roleplaying experience in the grim darkness of the far future." 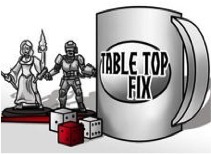 Oh wow, this is going to totally blow Rogue Trader and DH out of the water in sales, I bet. I know a ton of kids that would kill to play space marines in a RPG form. Not just kids! ;) Me too! Aye, wouldn't suprize me. Luckily this stuff will be compatible with Fantasy Flight's other 40k rpgs! :/ I am not thrilled with the Dark heresy system, TBH, and kind of question them amping it for Space Marines. I guess we'll wait and see but in DH every clsss seemed to be almost identical to the other class, with the exception of psykers which were absurdly over-powered. I will reserve judgment til I have it in my hands though.